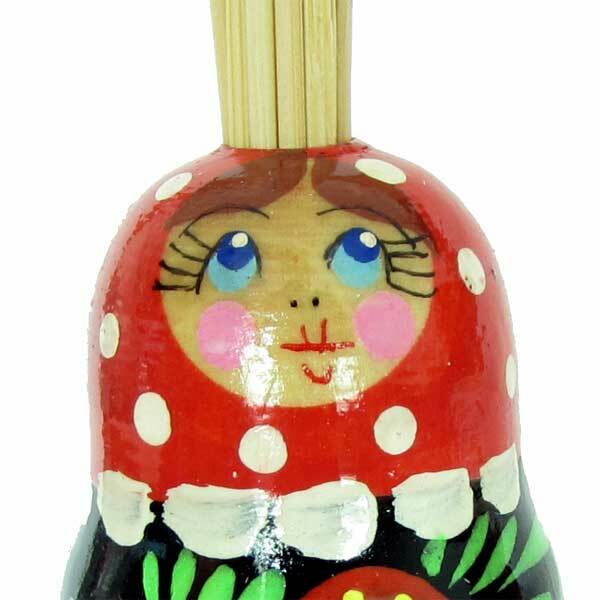 This is an original holder of toothpicks, it is made of shape of Russian matrioshka doll. 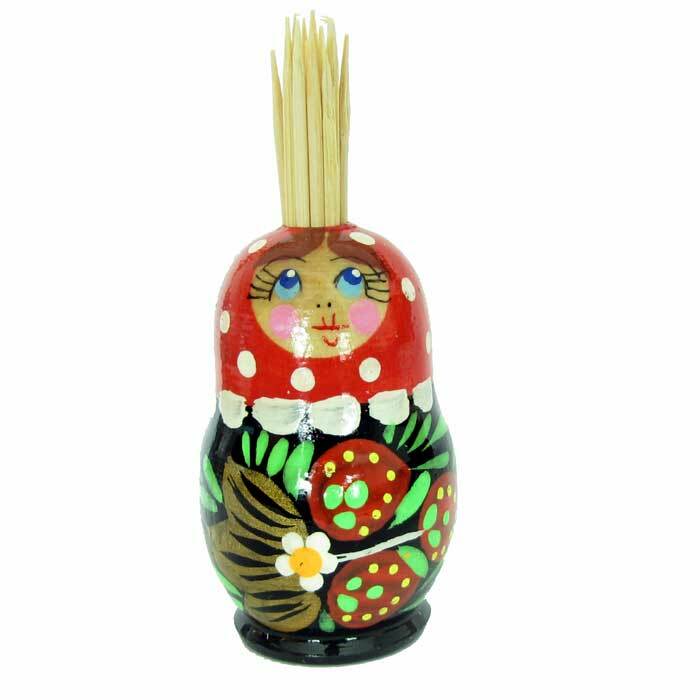 The body of the toothpick holder is turned of wood, then hand-painted and finished with glossy lacquer. It may be a good piece of decoration of your kitchen table.